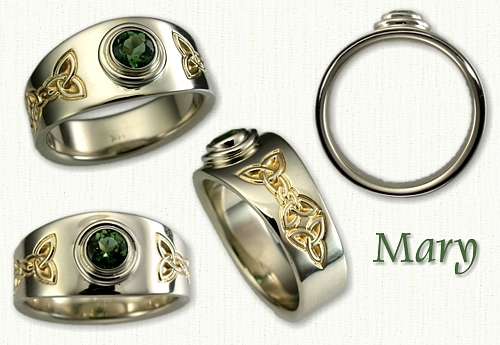 Celtic Mary Designed Engagement Rings: affordable & unique gold, platinum & palladium ring designs! 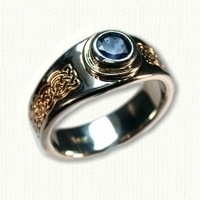 Description: The Mary is a tapered band style mounting which comes with a bezel set ROUND stone and bezel rim. 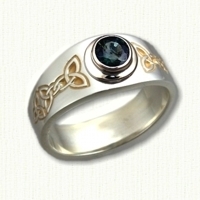 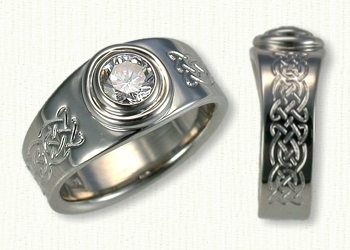 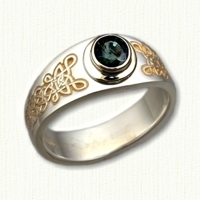 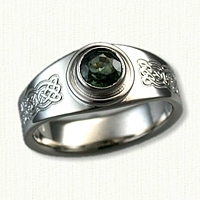 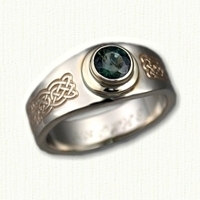 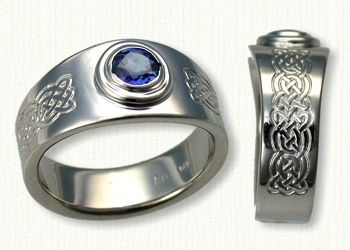 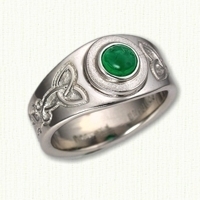 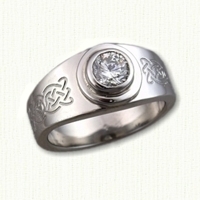 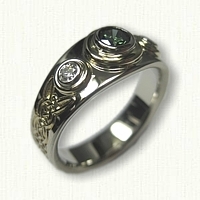 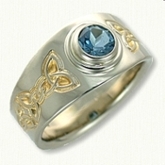 This lovely Celtic band/ring can be created in 14kt, 18kt, platinum or a combination of these metals. 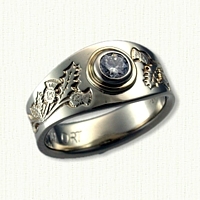 Optional finishes for 14kt and 18kt include 18kt yellow gold electroplate, which are at an additional fee. 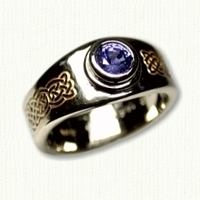 Visit our Available Diamonds and Gemstones page to view photos of in stock stones.. We recommend Ruby, Sapphire and Diamonds as they are the most durable for bezel setting. 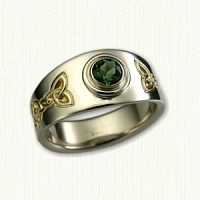 Pricing is based on a 7mm band, plus $150 for the 14kt rim & bezel, plus the cost of the round gemstone. 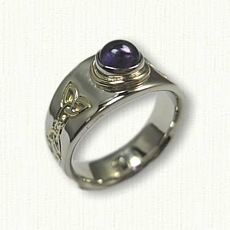 Wide Mary: 10mm front to 6.5mm at back. 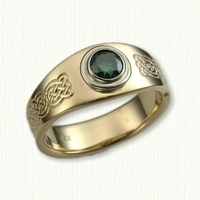 Pricing is based on a 10mm band, plus $150 for the 14kt rim & bezel, plus the cost of the round gemstone. 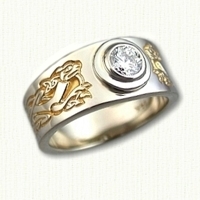 18kt and Platinum options as per quote. Custom shank patterns are available at an additonal fee.